Now Sarai, Abram’s wife, had borne him no children. But she had an Egyptian slave named Hagar; so she said to Abram, “The Lord has kept me from having children. Go, sleep with my slave; perhaps I can build a family through her.” Abram agreed to what Sarai said. So after Abram had been living in Canaan ten years, Sarai his wife took her Egyptian slave Hagar and gave her to her husband to be his wife. He slept with Hagar, and she conceived (Genesis 16:1-4a NIV). For it is by grace you have been saved, through faith—and this is not from yourselves, it is the gift of God—not by works, so that no one can boast” (Ephesians 2:8-9 NIV). “This is the everlasting covenant: I will always be your God and the God of your descendants after you” (Genesis 17:7 NLT). There’s no way Abraham could’ve imagined where his decision of leaving home would take him. When any of us make the decision to move in God’s direction, that small act of faith can change the course of our world! I bet you’ve felt that way—like you weren’t cut out for something or didn’t belong somewhere. Maybe you feel like you’ve made too many mistakes, so you’re probably not cut out to be a good Christian— whatever that means. Sometimes we all feel that way—like God won’t use us, because we just don’t have what it takes. When you really pay attention to the details, you begin to realize that Abraham wasn’t perfect. God promised Abraham that he would have tons of descendants. What made this promise seem so unrealistic was the fact that Abraham and his wife Sarah had no children. And they were old! After ten years of waiting, Abraham and Sarah decided that they didn’t want to wait anymore. There are about a million different ways this could go wrong. And it did go wrong. Very wrong. It was Sarah’s idea to offer her slave to her husband to get a child. And Abraham willingly agreed. Sarah mistreated Hagar to the point that Hagar was so miserable, she decided to run away. All of us, from time to time, will feel like we’re not cut out for this. The amazing thing is that God didn’t cancel His promise to Abraham because of what he did. God still used Abraham, in spite of his terrible decisions. God’s character and faithfulness aren’t directly tied to our behavior. That means that we can continue to follow God into the wild with absolute confidence, fully knowing that if we mess up, God can still use us. Abraham, in spite of his mistakes, continued to put his faith in the grace of God. When you believe this about your story and about God, you’ll be less likely to step out into the wild to live the life God has called you to. Abraham could walk confidently into the wild knowing who God was would never change, even when he messed up, created a disaster, and dealt with the consequences. 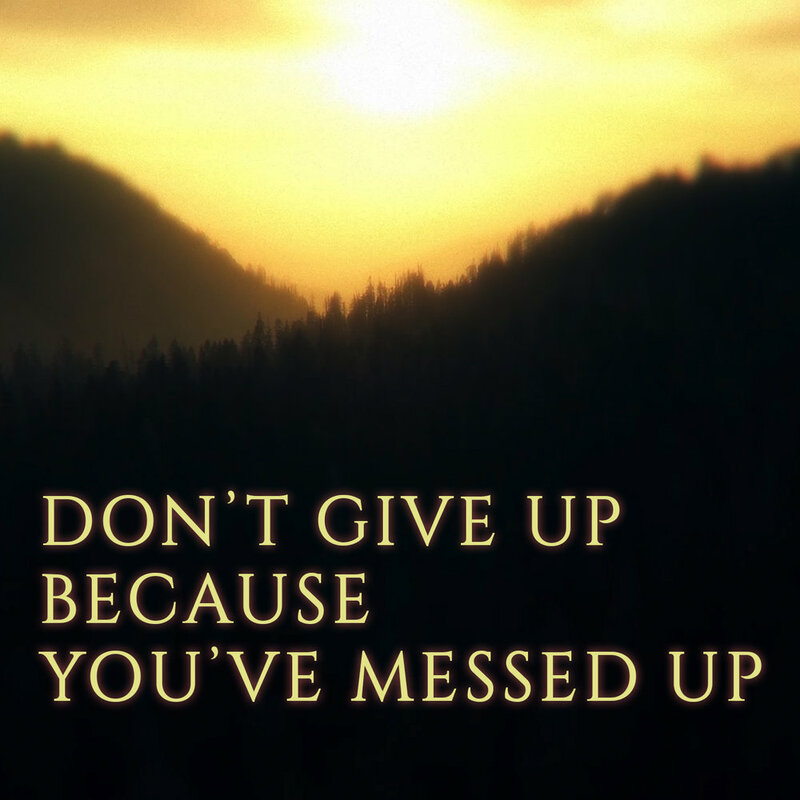 Don’t give up because you messed up. Remember: Because of what Jesus did, all the mistakes you make along the way will one day be washed out.